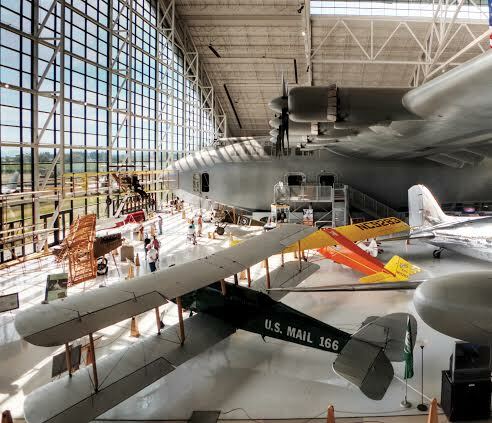 If you want to get an up close look at the Howard Hughes’ Spruce Goose – or play for a day in a water park built with a Boeing 747 on the roof – now might be a good time to make those plans. The Evergreen Aviation & Space Museum – and Wings and Wave Water Park – may be sold on November 30 in a foreclosure auction in Oregon. “We have been notified that our landlord, the Michael King Smith Education Foundation, has received a writ of execution on the sale of both the Space Museum and Wings & Waves Waterpark. The Foundation is a separate entity that owns buildings on the Museum Campus including the Space building, chapel and the Evergreen Wings & Waves Waterpark. California’s role in aviation history? A quiz.